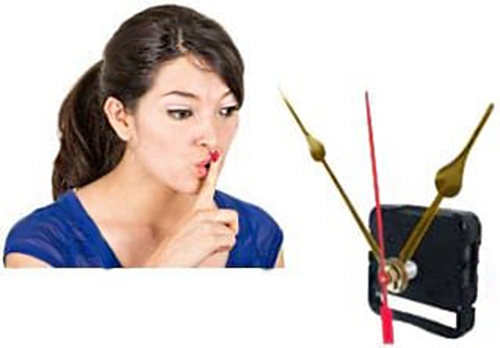 A Continuous sweep Quartz Clock Movements do not make a ticking sound. When a second hand is used, the second hand will sweep around the dial rather than jumping from one second to the next. 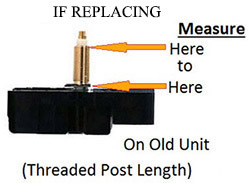 M7 is 2 1/8 x 2 1/8 x 1/2 quartz clock movement with a 5/16 wide threaded post. This movement is ideal for schools and hobbyists to produce clocks. With this Quartz Clock Movement the second hand will NOT jump from one second to the next. Shopping cart will give a quantity price reduction if you select the quantity here instead of inside the cart system. A continuous sweep quartz (battery opperated) movement does not make a ticking sound. When a second hand is used, the second hand will sweep around the dial rather than jumping from one second to the next. This movement is ideal for schools and hobbyists to produce clocks. We offer a quantity discount as well. used for a 5/16 wide hole.